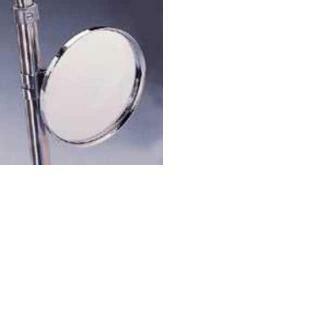 Wide-angle round convex clamp-on mirror with 5" dia. chromed head, ball stud for adjustability. Aluminum mounting bracket; easy to install.